Sunday can be hot, but strong winds and the risk of isolated power outages are gearing up to make the start of the week a less than ideal respite from winter weather. The National Weather Service has released a wind advice to much for the WTOP listening area, with gusts of up to 50 miles per hour possible through Monday morning. Here's what you need to know. WASHINGTON – Sunday can be hot, but strong winds and the risk of scattered power outages are gearing up to make the start of the week a less than ideal respite from winter weather. Gusts of up to 50 or 60 miles per hour are possible in DC and Maryland from Sunday afternoon to Monday morning, with cold air sticking east across the Blue Ridge Mountains in the wake of the storm system that brought rain and warm temperatures to the region over weekend. National Weather Service says scattered power cuts and wood damage are possible, especially at higher altitudes in Northern Maryland. Temperatures are expected to rise into the low 60's by early afternoon – but the greater history today, at least weather-wise, will be the high winds sweeping into the region throughout the day. With the back edge of this weekend's rain that removes the area, the winds will start to fetch around. 11 Sunday. 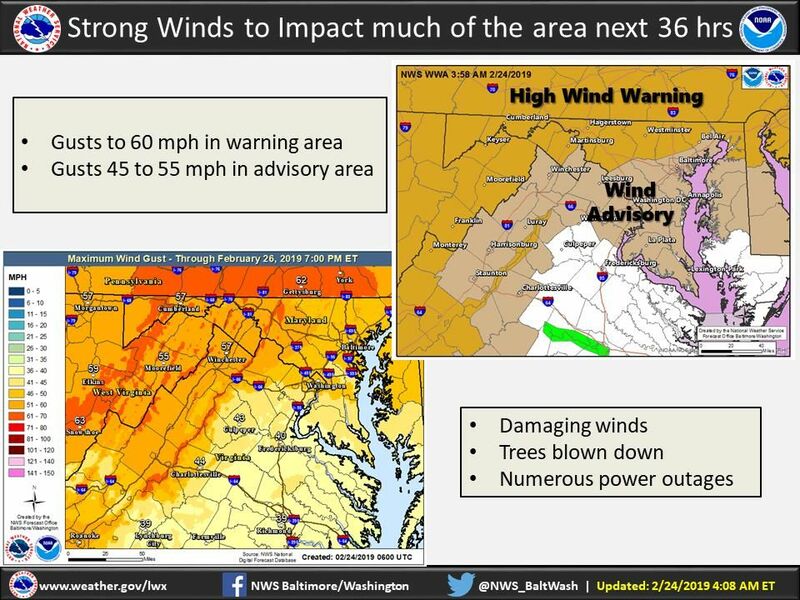 The winds of 20 to 30 miles per hour, which go up to 50 miles per hour, are probably at late Sunday afternoons – strong enough to provide wind guidance for most of the WTOP listening area. National Weather Service says gusts that are strong for a long period of time cause a risk of worn down trees and power lines. "Given that the soil is saturated due to the recent snowfall and rain from last night, we could get some isolated power cuts across the region," said NBC Washington meteorologist Lauryn Ricketts. Higher rises in the north and west of DC near West Virginia and Pennsylvania are most likely to see stronger gusts of up to 60 miles per hour. In Maryland : Frederick, Carroll, Northern Baltimore, and Northwest Harford Counties pm Sunday to noon Monday. A high wind warning means a dangerous high wind event is expected or occurring. Persistent wind speeds of at least 40 mph or gusts of 58 mph or above can cause damage to the property. issued to the following parts of the WTOP listening area: 19659010] Washington, DC from 3 pm to 10 pm. Sunday and from. 4 to 4 pm Monday. In Maryland : Montgomery, Howard, Anne Arundel, Prince Georges, Charles, St. Mary's, Calvert, Southern Baltimore, and Southeast Harford, including the city of Baltimore, from 10 am to 10 p.m. Sunday and from. 4 to 4 pm Monday. In Virginia: Loudoun, northern Fauquier, Prince William, Fairfax and Arlington counties, as well as the cities of Fairfax, Falls Church, Alexandria, Manassas and Manassas Park from 9 am. to 10 p.m. Sunday and from. 4 to 4 pm Monday. A wind advice means that wind of 45 to 55 mph is expected. Winds this strong can make driving difficult, especially for high-profile vehicles. Most of the DC metro area received over an inch of rain from Saturday night to Sunday morning from a storm system with a History of Accidents through the Midwest and Southern United States Some small floods are possible along the flood roads on Sunday morning. Be careful when driving through areas that are flooded regularly. As for the wind, driving can be difficult on bridges and higher altitudes with stronger gusts of wind. The Maryland State Highway Administration encourages travelers to be cautious if they encounter high winds: "Drive safely today," the agency tweeted . "Be sure to travel with both hands on the steering wheel to maintain steering during heavy gusts." 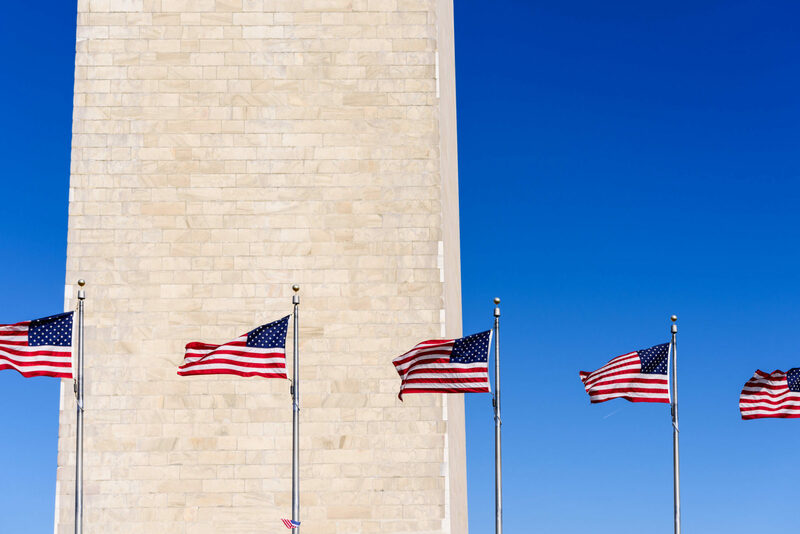 Ricketts said strong winds could be in the DC area through Monday afternoon, after which the winds would gradually calm down and allow for cooler, more seasonal temperatures again on Tuesday. Sunday evening : Temperatures drop, clear sky and soft. Tuesday : Brighter wind, quiet and sunny. Like WTOP on Facebook and follow @WTOP on Twitter to join conversation about this article and others.